Although the European harmonisation of trademark law started more than two decades ago and is now quite robust, heretofore practitioners have had no easily accessible and comprehensive description and analysis of this regime to rely upon in their work, despite the existence of commentaries of the Directive and Regulation on trademarks. 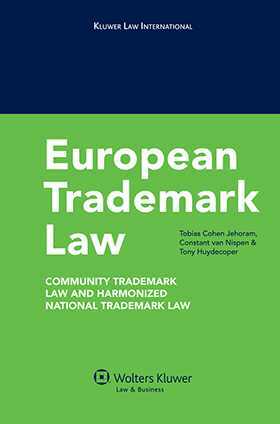 Now, European Trademark Law describes all relevant developments in both legislation and case law, in particular of the Court of Justice, offering not only a succinct introduction to the theory, structure and nature of trademark law, but also insightful suggestions for resolving and answering a host of practical problems. As the authors note, their book provides an ‘overview of trademark law rather than an overview of trademark legislation.’ The authors view the law from different perspectives; they take both the European perspective and the perspective from harmonised national trademark law, in particular as it is in the Benelux countries. • how trademark rights are lost. The analysis also covers specific aspects of the trademark right that are related to other legal areas, such as property law, trade name law, the law regarding geographical indications of origin, copyright law, competition law, and product liability. An especially valuable part of the book’s presentation follows the ‘life’ of a trademark from filing the application up to and including its cancellation, revocation or invalidity. Intellectual property lawyers, judges, academics and in-house counsel will greatly appreciate this very useful guide to the current state of trademark law practice in Europe. Statutory Basis for Benelux Trademark Rights. The Trademark: Essence and Requirements. Acquisition of the Trademark Right. Scope and Content of the Trademark Right. Restrictions on the Trademark Right. Procedural Aspects of Civil Law Enforcement. Trademark as a Property Right. Trademark and Indications of Geographical Origin. Competition Law and Free Movement of Goods and Services. Trademark Law and Product Liability.